Owning a pet octopus requires a lot of upkeep. Even if you have the resources to care for one, carrying it around on your back like an eight-armed Yoda isn’t recommended. 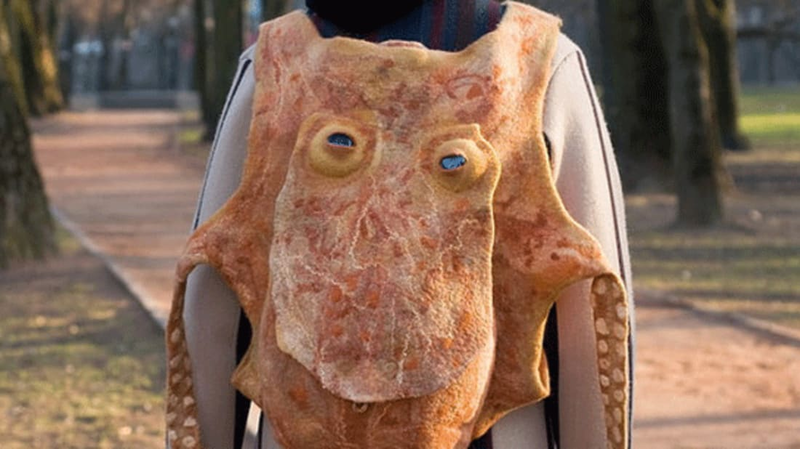 For cephalopod enthusiasts looking for an alternative, artist Olga Kotova has crafted an octopus-inspired backpack from felted wool. The bag—covered by Laughing Squid—is large enough to transport large books and notebooks. The cargo compartment is located in the head of the octopus (who is affectionately named George). Tentacles reach around the shoulders to act as straps, with the extra arms left to dangle down the wearer’s back. Marine life-inspired book bags aren't Kotova’s only specialty. She also sells whimsical dolls and colorful felt blankets on her Etsy page.